Anyways, the reason for wanting the first question asked is that it is quite easy to answer–of course I want them to be baseball players! Oh, quite the baseball fan are you? That’s not it. I enjoy the occasionally game or two (especially at the ballpark where I can enjoy nitrate-loaded tube meat products) but given my druthers I would actually enjoy watching gymnasts gyrate during the summer Olympics more. No, it’s not a matter of enjoyment value. It’s a matter of imperfection. You see gymnast aspire to receive perfect tens. Occasionally they do… Especially if easily bribed judges are involved (that’s right Lichtenstein judges, we’re on to you…) Baseball players, on the other hand, are considered really, really good if they only strike out two-thirds of the time… And so it is with life… there are no perfect runs. 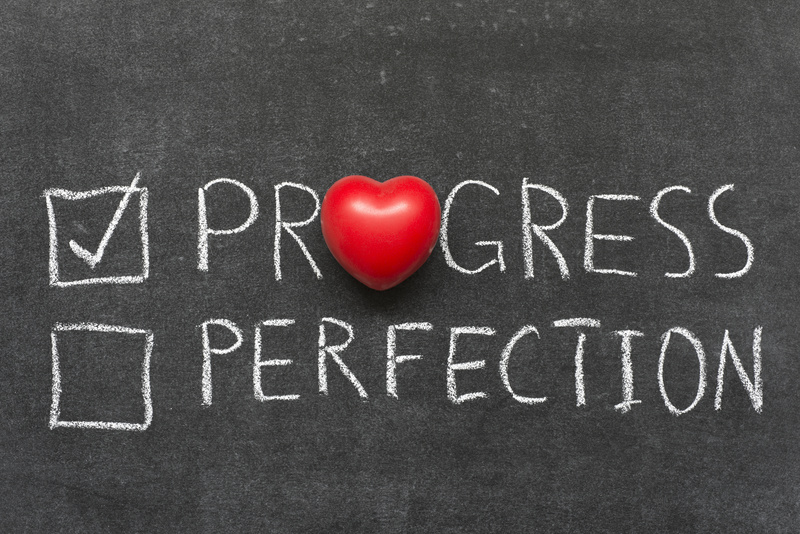 Not to bump heads with Bible thumpers, but do we really need people spouting off about “Be ye therefore perfect?” I much prefer the 12-step injunction that it is “spiritual progress, rather than spiritual perfect.” I can deal with that. The spirituality of imperfection speaks to those who seek meaning in the absurd, peace within the chaos, light within the darkness, joy within the suffering—without denying the reality and even the meaning of absurdity, chaos, darkness, and suffering. 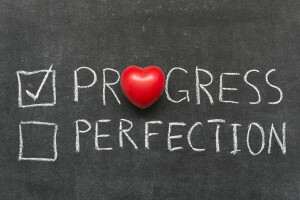 Too often when I hear this stated in the rooms of recovery the emphasis is on “not perfection.” It’s used to excuse all sorts of bad behavior or not getting around to the business of growing up. What I was fortunate to hear repeatedly when newly sober is that “We are either moving uphill in slow forward or downhill in fast reverse. Having learned to drive in a VW Bug with a stick shift, this made perfect sense to me. We lived at the base of a relatively steep hill. If that Bug wasn’t slowly churning uphill it was indeed in fast reverse until I got the clutch engaged. Over the last decade of recovery this concept has born true time and again. I need to be moving forward or I am backsliding indeed. But it needn’t be a mad rush. “Easy Does It” is the 12-step slogan that reminds us to avoid that addict/alcoholic mad dash for perfection. How many times did I sober up only to make an impossible list of all the areas of my life that I was going to immediately improve? Discouraged within days that I hadn’t accomplished an impossible list of resolutions, I quickly turned back to the bottle. So let’s head in to the New Year with open eyes. Let’s resolve to make progress. But always remember we are imperfect souls in an absurdly imperfect world. I love the analogy you used with your grandchildren being ball players versus gymnasts because of the drive for perfection. I’d never thought of it that way, but am so glad that we can be apart of a movement in recovery where progress trumps perfection! So well put, thank you!